Who's been mainlining the catnip? If you always suspected that catnip was an herbal hallucinogen, capable of sending your cat on a feline magical mystery tour, you were right. At least, that's the interpretation in this trippy new music video for the Litter Genie poop-disposal system. 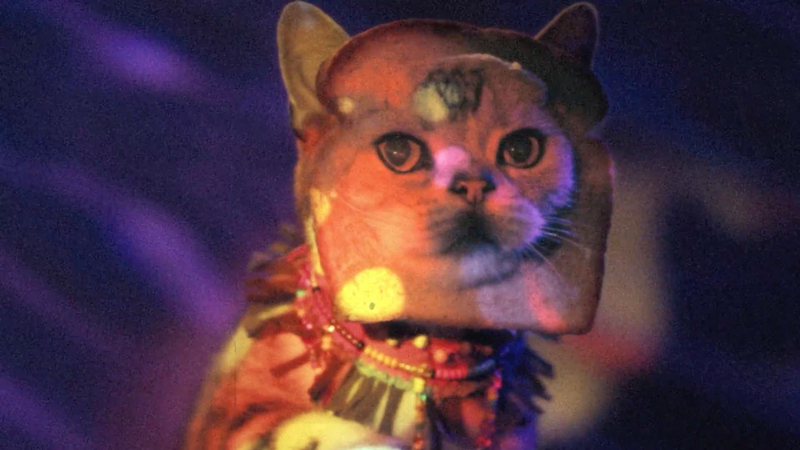 Set to the tune of "I Haz a Catnip in Mah Head," the star kitty gets stuck in front of a mirror—typical reaction to a head rush—and then travels to a psychedelic land where Alice in Wonderland might live. Off with his toast-shaped head! It's reminiscent of an earlier Friskies spot, which featured another whacked-out kitty adventure featuring dancing turkeys and fish-shaped boats. Shout out to ad creatives: What's up, stoners? The Litter Genie ad, with the refreshing tagline, "I haz no smelly," comes from JWT New York and director Keith Schofield.